It’s that time of the year again, when architects around the country scramble to put together their drawings, diagrams and of course photography, to best explain and present their projects. As is evident from past presentations it is latter that often carries the greatest weight with juries (prior to an actual site visit of course), which is why I cannot overestimate the importance of getting good photos taken! Over the past year I have had the privilege to photograph for some of the very best designers in WA, some projects of which were entered into this years awards. Certainly I look forward to being able to photograph more of this amazing work in the coming year. Wishing everyone the best of luck for this year’s National Architecture Awards. 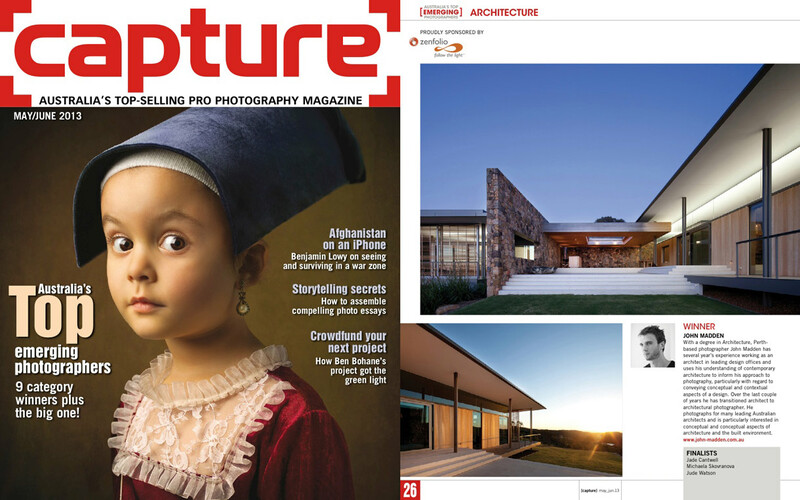 I was recently announced runner-up in the architecture category of Capture Magazine’s ‘Australia’s Top Emerging Photographers 2012’. The judges include some of the very best architectural photographers in Australia, with judging based on a portfolio of six images submitted by each entrant. Congratulations to the winner, Adelaide based photographer Peter Barnes. 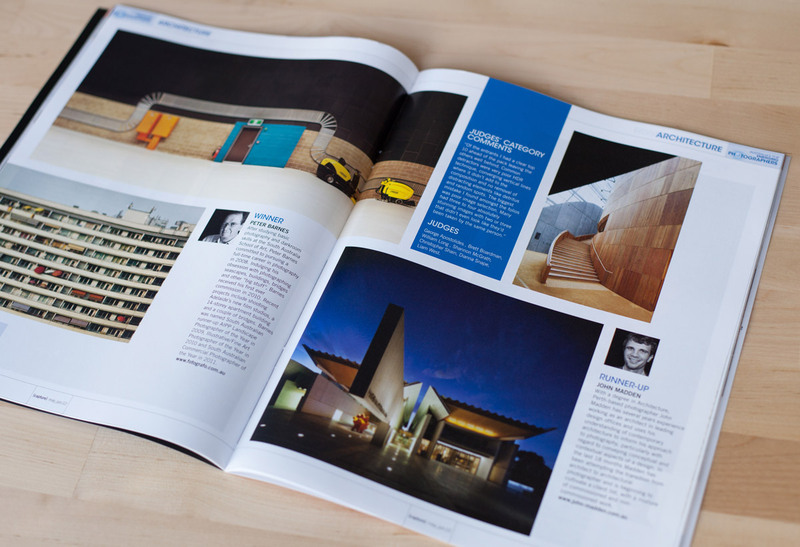 All the results (including winners of the other categories) can be found in the May/June issue of Capture Magazine.